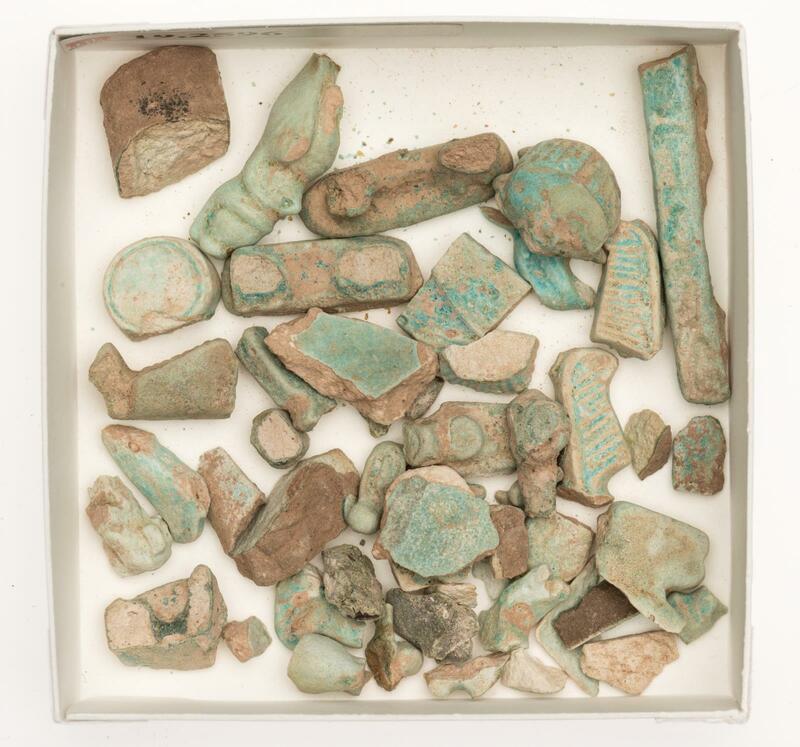 Several fragments of unidentified faience objects, some of which may be amulets. From el-Kurru, Ku 52 (tomb of Neferukekashta). 1919: excavated by the Harvard University–Boston Museum of Fine Arts Expedition; assigned to the MFA in the division of finds by the government of Sudan.